While the American Craftsman style home initially came out of the British Arts and Crafts movement, U.S. architects and designers quickly embraced it and added design elements and floor plan features desired by a growing middle class of American homeowners. A number of these innovative features – such as the breakfast nook – have been adopted in some fashion by many American architectural styles. The roots of American Craftsman architecture trace back to the British Arts and Crafts movement which began in the 1860s, and lasted through the 1930s. This period was based on a rebellion against the Industrial Revolution's seeming devaluation of workers and/or the dignity of human labor. The British movement valued custom labor intensive handwork over mass-production, and this period was also a reaction to the overly ornate Victorian style decor, contributing to the decline of the Victorian era. The style was originally inspired in about 1903 in Pasadena, California by brothers Henry Mather Greene and Charles Sumner Greene when they began to design simple Craftsman-type bungalow homes. The American Arts and Crafts Movement was all about the visibility of handicraft – simplicity, originality, quality, functionality and possibly best of all - the use of local materials, especially stone and wood. Craftsman homes often have exposed beams and rafters along with Corbels -- triangular trim pieces in the gables. As the home’s foundations were usually constructed of rock, the exteriors were either stone or wood siding with large porches along the front or wrapping around the home, topped by masonry chimneys. Some of the finest examples of original craftsman style architecture can be found in older neighborhoods across America. 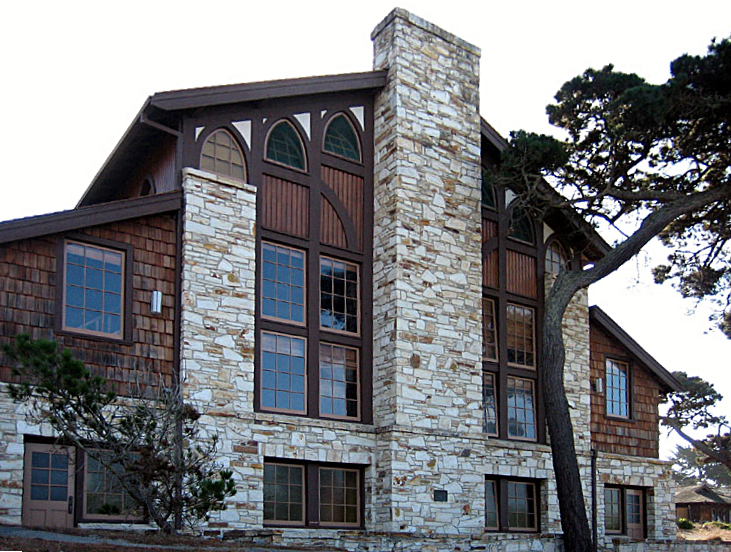 One is known as Merrill Hall at the Asilomar Conference Grounds which was designed by Hearst Castle’s architect, Julia Morgan, and built for the Young Women's Christian Association (YWCA). It is located in Pacific Grove, California on the western tip of the Monterey Peninsula. The most popular and affordable of the craftsman homes were the bungalows – and in fact today many people are seeking this type of classic, quality architecture. For example, at Th e Plan Collection, this house plan is a 1,820 sq. ft. craftsman home plan (Plan#109-1013) featuring a covered porch. 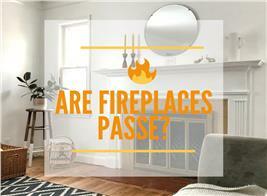 Raised ceilings, an arch-top window and a fireplace add character. 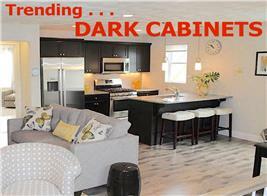 The home has a roomy kitchen featuring a breakfast nook, pantry and access to the laundry room through a pocket door. The master suite is located near the kitchen, and offers residents a tray ceiling and sitting area which also accesses the screened porch. The spacious master bath has a separate shower with a corner garden tub, while there is also a guest powder room right outside the master suite. On the opposite side of this home’s floor plan, there are two additional bedrooms which share a bathroom that adds nearly 800 sq. ft. of extra living space. Just through a door off the breakfast room steps lead up to two bonus rooms – ideal for an office, a hobby and craft room, or to be used as a flex space bedroom for returning college students or grandparents. 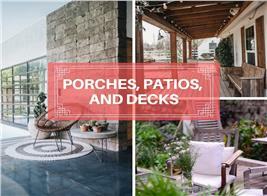 New trends surfaced along with the American Craftsman home. Most middle class people did not have domestic servants, making the kitchen more important and demanding that it be integrated into the main house plan. This was the birth of the breakfast nook in the kitchen, whereas before separate dining rooms and kitchens for the servants were more popular. The common areas included the main dining and living rooms, plus the back yard. Victorian Era butler’s pantries were replaced with beautiful built-in dining room cabinetry complete with "built-ins", incorporating crafted wood and glass into the public aspects of the home. It typically had a work table (having the equivalent purpose of the modern countertop) at which the servants would eat after the family meal was served and the kitchen tidied. The Victorian kitchen had no "proper" place for a family member to sit, eat, or do anything else. Again, as the housewife of the Craftsman era was now preparing the family meals, the Victorian kitchen gave way to one designed as the heart of the family's daily life. The breakfast nook often placed under a window or in its own bay provided a place for the family to gather at any time of the day or evening, particularly while food was being prepared. The American Craftsman style, or the American Arts and Crafts movement remained popular throught he 1930’s, but there is renewed interest in these smaller bungalow style homes today. Individuals and communities have both sought to preserve these homes and encourage new development in the Craftsman style. 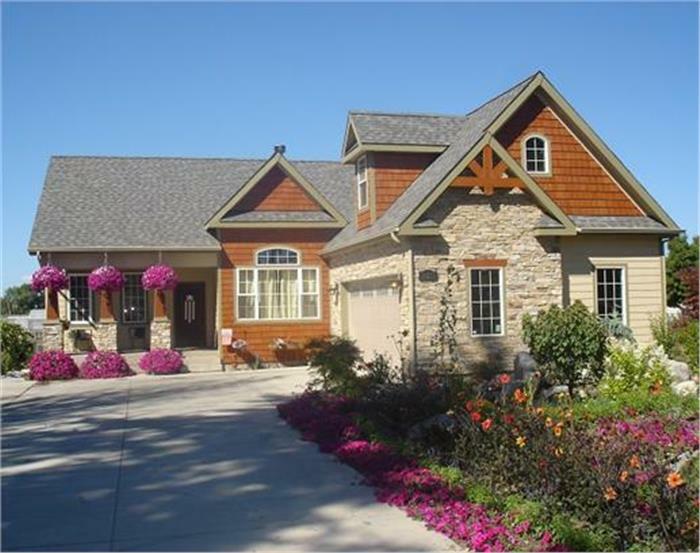 To learn more about this architectural style or building your own American Craftsman style home from a house plan visit www.theplancollection.com.